SMITHFIELD, RI – From Mon., Jan. 22 to Wed., Jan 24, 2018, the entire freshman class will return to campus a few days before regular classes start to take part in Bryant’s Innovation and Design Experience for All (IDEA) program. This intensive design thinking boot-camp, now in its sixth year, is just one of many ground-breaking initiatives that puts Bryant on the leading edge of a movement to innovate in higher education. For an action-packed three days, cross-disciplinary faculty along with peer, alumni, and staff mentors will lead students through a process that simulates the fast-moving, wild-idea-generating, innovative way of doing business practiced by many of the largest, most successful companies in the world including IDEO, Apple, Google, Intuit, IBM, BMW, and Proctor & Gamble. IDEA's mission is to open students’ minds to innovative ways of thinking and creating that they will incorporate in every aspect of their four years at Bryant and throughout their lives and careers. They will develop specific skills and habits of mind that will prepare them for the rigors of academic life and a fast-changing world that will soon be in their hands. "The biggest challenge with teaching design thinking is getting the students comfortable with not knowing the answer, and that they will likely fail before they succeed." Design thinking is a creative problem-solving process that has helped world changers like Steve Jobs to develop some of their most valuable products and ideas. About seven years ago, Bryant faculty and leaders began applying the ground-breaking design thinking process to reimagining higher education. Since then, Bryant has put these concepts into action, not only to develop innovative ways of teaching and learning, but also to foster a university-wide culture of innovation. The IDEA program, launched in 2013, led Bryant administrators and faculty to recognize that a new way of learning would require a new kind of space. This kicked off an integrative and collaborative design process that resulted in the building of the Academic Innovation Center (AIC) that opened in September 2016. President Machtley called the opening of the AIC “a strategic inflection point” that has led to even more program innovation at the undergraduate, graduate, and executive education levels. The IDEA program guides students through the design thinking methodology popularized by IDEO, the Palo-Alto-based global design firm that has helped companies develop some the most innovative products and systems in the world. The process starts with conducting ethnographic field research, and continues with defining user needs based on insights, ideation (brainstorming) to explore multiple possible solutions, engaging in rapid prototyping, test the solutions with the users, and continually iterating to evolve the idea based on user feedback. All members of the freshman class gather on day one for an introduction to design thinking. From there, students head off on a high-energy, low-sleep, design-thinking adventure. 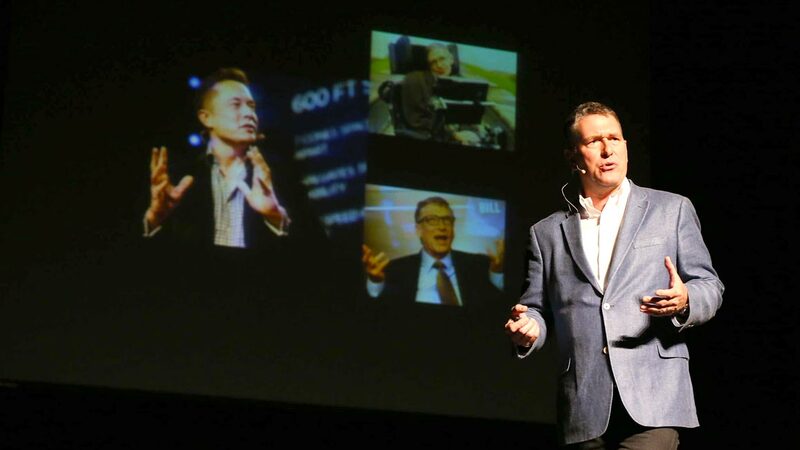 They learn how to brainstorm, generate wild ideas, and begin to get comfortable with not knowing the answers. Team-building workshops (sponsored by EY and Citizen’s Bank) provide opportunities to practice working collaboratively to find solutions. Students discover that patiently sticking with this catalytic process, which emphasizes learning from failure, will lead to success. With an understanding of basic design thinking principles, students head out to more than 30 regional organizations, including the New England Patriots Hall of Fame, Bass Pro Shops, and the Providence Tourism Council, to apply what they’ve learned to solving real challenges for businesses and in the community. 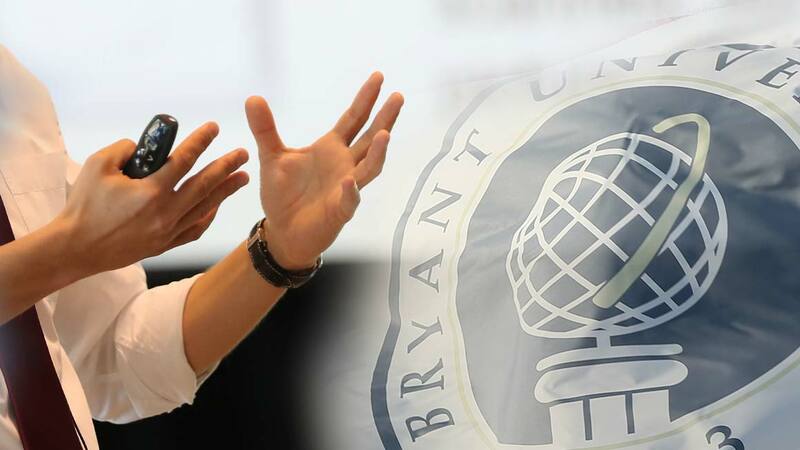 "It’s really forward-thinking for Bryant to be infusing this into the curriculum." At their assigned locations, each team of about five students tackles the first step of the process—ethnographic field research—or interviews and observations of the users in their natural environment. Then it’s back to the campus for brainstorming and rapid prototyping. Breakout rooms across the campus are transformed into dynamic ideation labs covered in sticky notes and storyboards to spark creative thinking. Faculty, student, and alumni mentors encourage the students to generate wild ideas. Refrains of "Fail early to succeed sooner!” and “Build to think!” echo throughout campus for the duration of the program. Ultimately, students create a 3-D model of their solution, and pitch it at a Trade Show to guest judges from businesses and community organizations. They are evaluated on their ideas, and even more importantly, the thinking process that led to their recommendations. Through the process, students develop the traits of innovators: curiosity and creativity; integrative thinking; collaboration; connecting; and perseverance and grit. Alumni come from all over the country to participate, serving as mentors and judges. 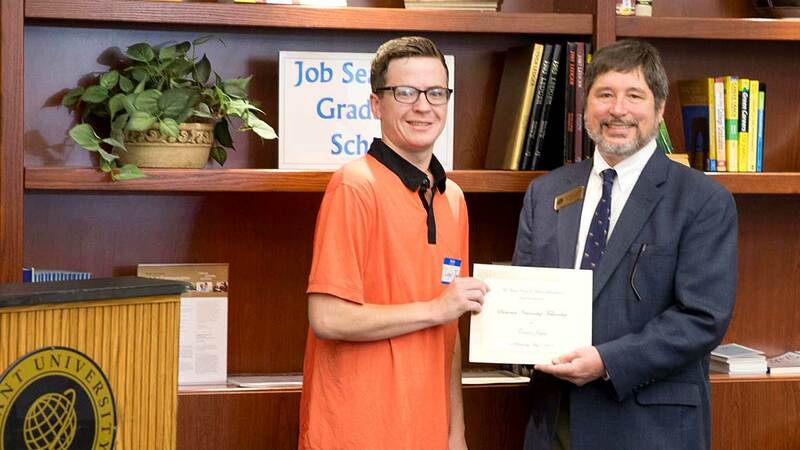 Upperclassmen serve as peer mentors, and business executives and community leaders from around the region also volunteer as mentors and judges. “I’ve taken IBM-sponsored classes on innovative ways of problem solving. 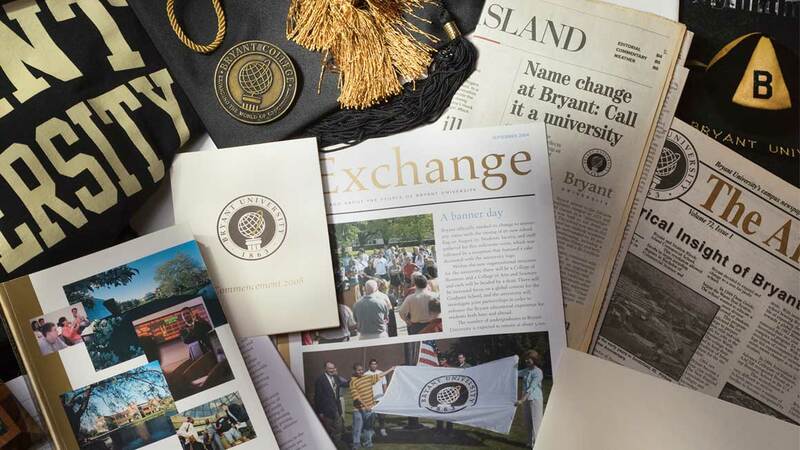 It’s really forward-thinking for Bryant to be infusing this into the curriculum,” said Andrew Corrado ’87, Senior Vice President, Group Director, Signature Bank in Melville, NY. Corrado’s son Andrew Jr. ’20 participated in IDEA in 2017. 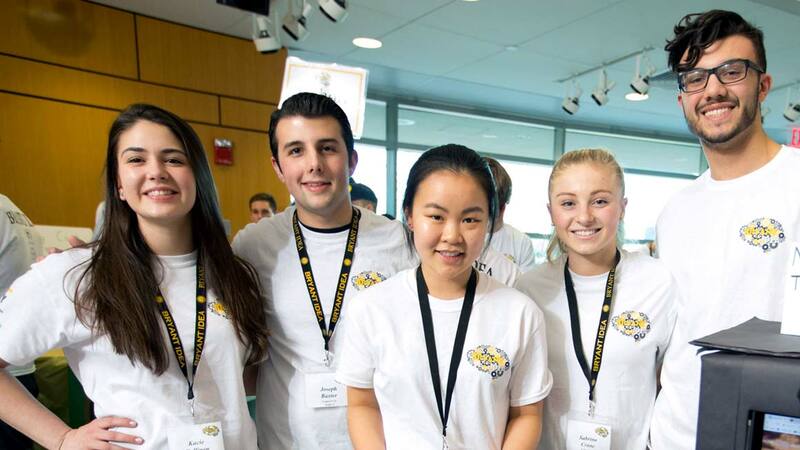 IDEA creates a foundation for the way students approach their four years at Bryant, and they gain critical thinking, relationship, and project management skills that give them an advantage and help them to add value in the marketplace. Innovation at Bryant continues to gather steam as the University integrates design thinking throughout the curriculum, partners with businesses, schools, and organizations, and applies these principles to preparing the organization and its students for future success. Bryant faculty, the Executive Development Center, and the Hassenfeld Institute for Public Leadership have worked with a number of regional and global organizations including Fidelity Investments, Citizen’s Bank, FM Global, Hasbro, Amica Insurance, CVS Health, the Rhode Island National Guard, and the Lincoln School.